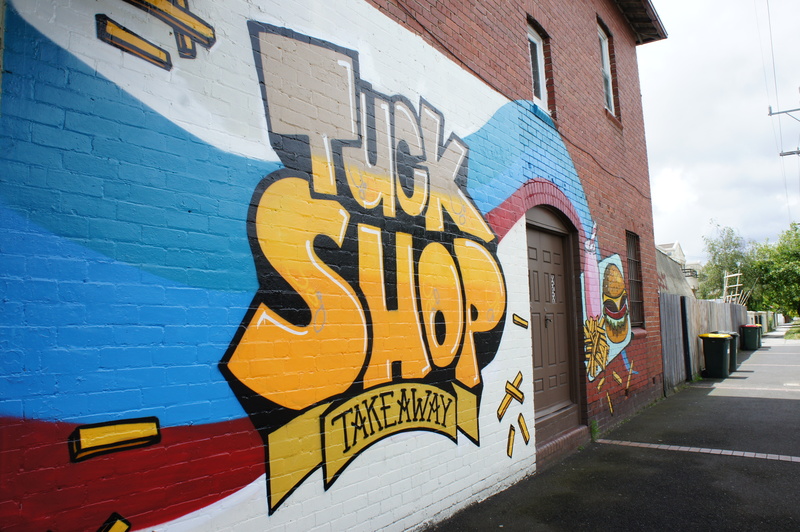 Tuck Shop Take Away | 15,000kms of Food! I’m in love! A down to earth, cool and friendly establishment serving excellent hamburgers! Tuck Shop Take Away, you rock my world! 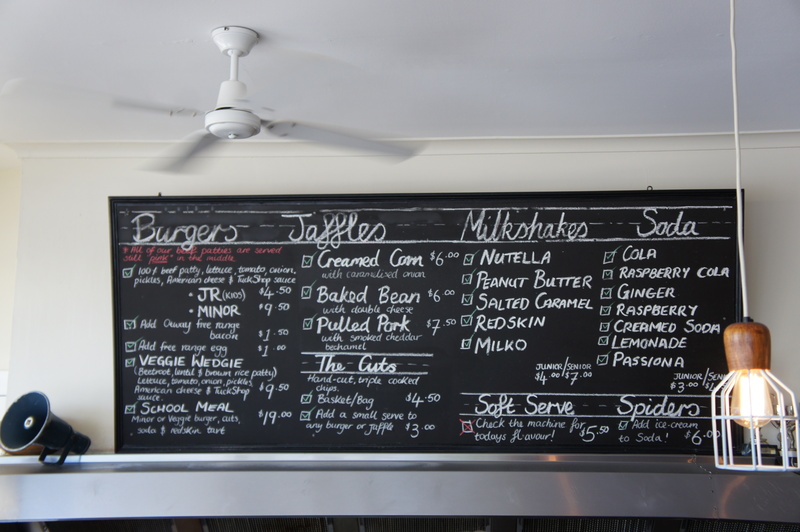 The burgers are amazing, the fries are perfection and the desserts are to die for! The story goes that it’s a husband and wife combo who worked in some of the most epic restaurants in the world who have settled in Caulfield to serve up delicious take away. 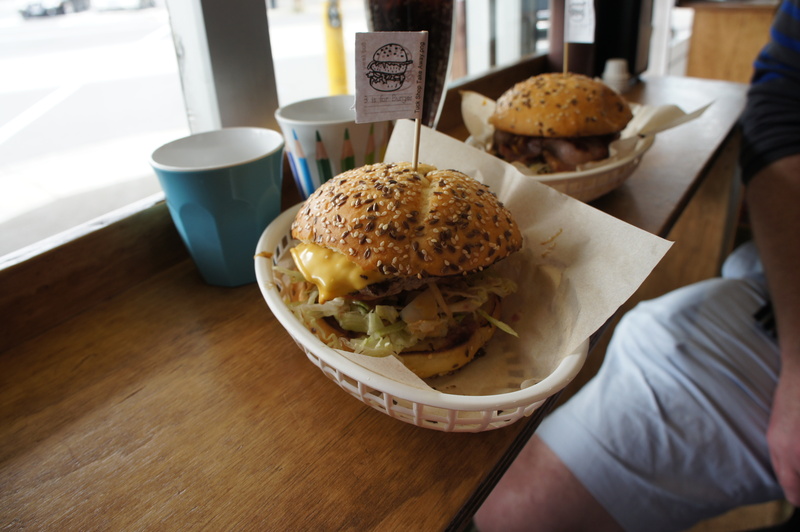 The burger has a moist meat pattie on a Noisette sesame seed bun with gooey cheese and fresh salad. 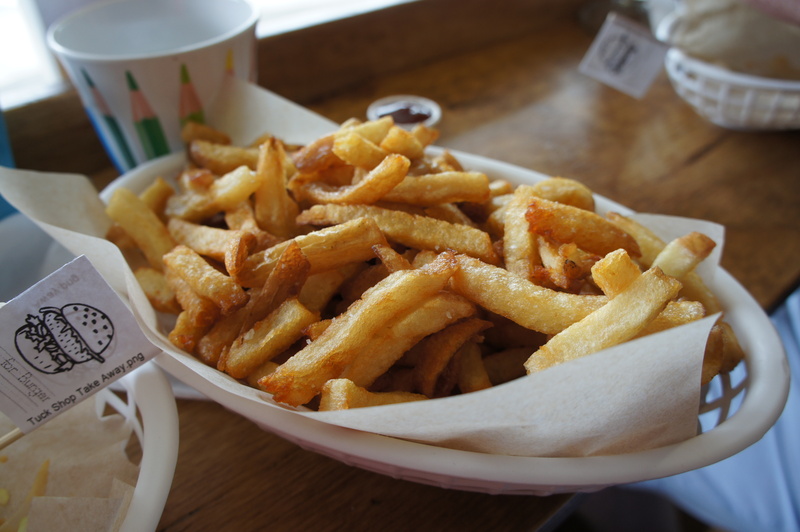 The fries are not the processed frozen variety, and super yummy! 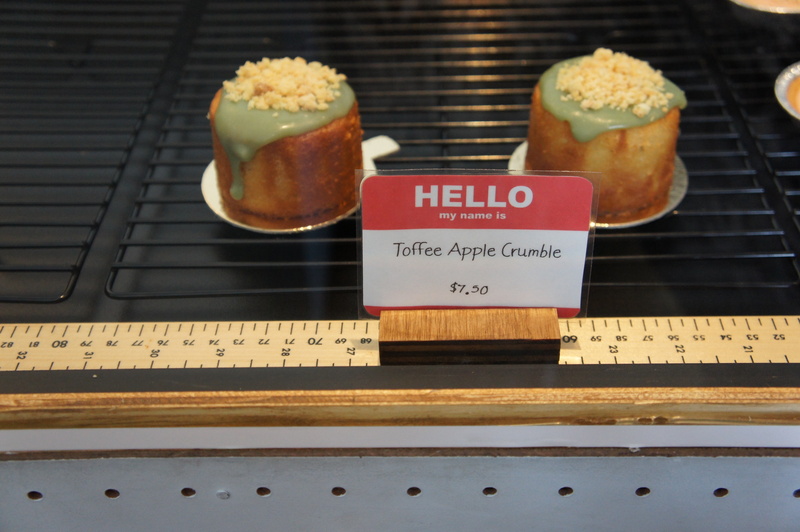 I find the desserts intriguing. Seems to me like they are using upmarket techniques on everyday ingredients, like apples and Redskins! 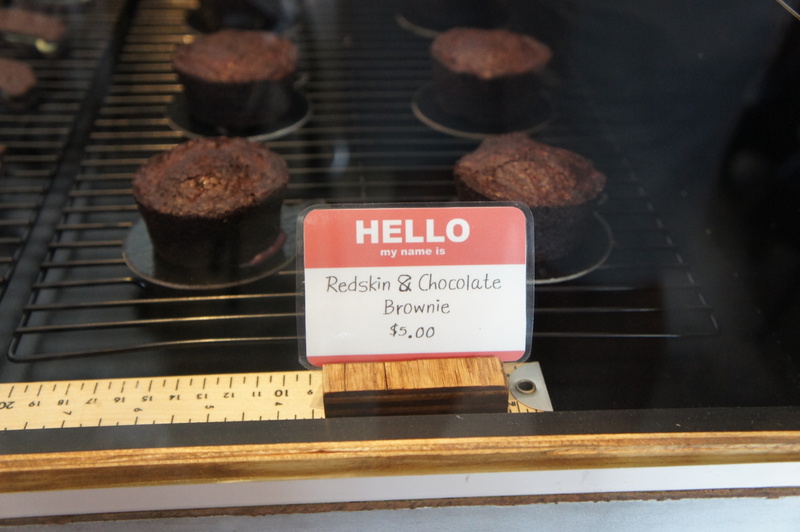 My boyfriend loves the redskin and chocolate brownie. Yeah, I love this place. You’ll find me there most Saturdays, scoffing a burger and fries, with my milkshake and takeaway dessert!